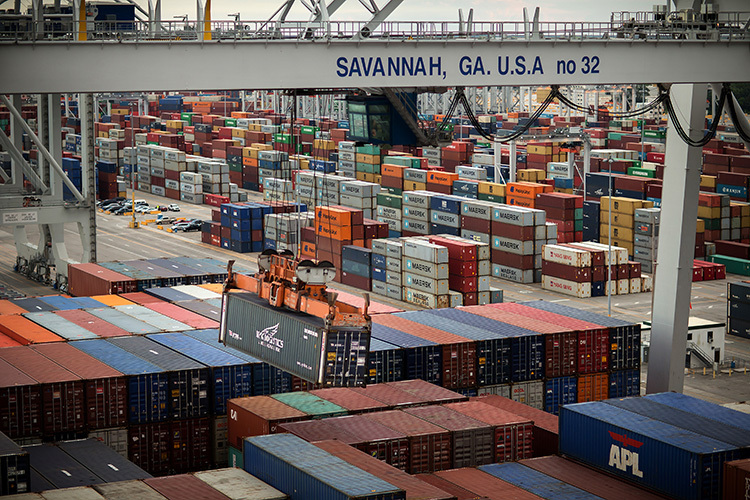 This just in: big things are happening with Savannah port shipping. And much of it pertains to the size of containers coming in each month. Well, the numbers on Savannah port shipping are beginning to reveal a pretty positive trend. Per a recent update from the Georgia Ports Authority (GPA), 2016 marked one of the busiest years in terms of loaded container traffic. GPA moved 2.94 million twenty-foot equivalent container units, which was 71,083 TEUs more than 2015. Total cargo across all terminals reached 31.22 million tons. Counting loaded and empty containers, the Port of Savannah moved 3.64 million TEUs total in 2016. In December alone, the Georgia Ports Authority marked a 12.3 percent container volume growth, moving 292,172 twenty-foot equivalent container units (an increase of 32,099 TEUs over December 2015 totals), setting yet another record for the GPA. The Georgia Ports Authority saw its busiest February ever for total cargo last month, moving 2.94 million tons across all docks – a 10 percent increase over February 2016, and second only to January’s 3.01 million tons. With 2016 in the rear view mirror, the next question is, ‘will the success continue moving into 2017?’ If January numbers on Savannah port shipping released are any indication, then the answer would be an absolute, ‘yes!’ GPA reported double-digit growth across all business sectors and a 26 percent increase in total tonnage. a2b is proud to be a part of Georgia’s vibrant economy. Updates like these make us grateful for our convenient access to the port of Savannah and the hard work the GPA puts in on a regular basis. Add our proximity to the world’s busiest airport in Atlanta, and we have all the elements to support clients with expedited import and export needs. The state of Georgia benefits greatly due to its forward thinking agencies who solicit feedback from businesses like ours and seek to meet their needs.